Thirty percent of giving in 2017 occurred in the month of December, and 10 percent took place during the last three days of the year alone. To ensure your organization makes the most of this charitable window, we’ve assembled a list of our favorite winter fundraising ideas. Check out these 25 creative ideas for nonprofit events and fundraisers and download The Year-end Fundraising Handbook for even more tips on optimizing your nonprofit strategy for the giving season. People love to do crazy things for a good cause—like jump into freezing cold water after running three miles. This winter, organize a 5K race that finishes in the local lake. Special Olympics New Jersey recently celebrated the 25th anniversary of their Polar Bear Plunge at Seaside with 7,161 “plungers” raising a record-breaking $2.12 million. Think it’s too cold to run outside? Take your race indoors and host a treadmill running challenge to raise money for your cause. This winter fundraising idea gets registrants to run for one hour on a treadmill and encourages them to ask their friends and family to sign up too. Each participant receives a personal fundraising page, and the top fundraiser is awarded top-of-the-line running gear. 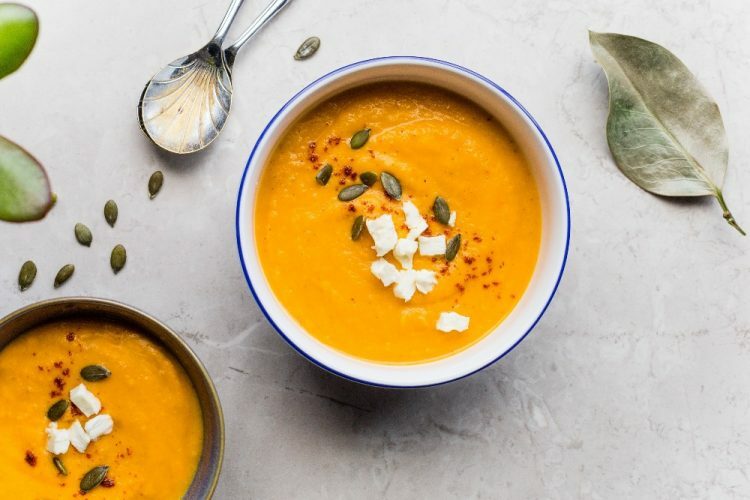 Maybe running isn’t up your organization’s alley and you’d rather focus on cozying up with a warm bowl of soup. The winter solstice, otherwise known as the shortest day of the year, is a great opportunity to celebrate the turning of the season over some soup. Ask local restaurants to donate a signature soup and charge per bowl with the option to upgrade to a bread bowl to really amp up the comfort factor. Another soup-centered event idea is to host a soup cook-off where registrants compete and guests act as judges who taste test and vote for their favorite. Just be sure to follow any local food-serving laws. Winter fundraising ideas can come from family-oriented events like ice-skating nights or sled races. These childhood favorites are sure to attract adults craving for winter nostalgia, but they’re great for families as well. Charge for entry to the event and collect donations in exchange for sled or skate rentals. You can also offer hot chocolate, non-alcoholic eggnog, and baked goods in exchange for donations to help everyone warm up after the outdoor activities. Host an annual Ski-A-Thon where participants complete laps up and down the chairlift. You can also provide snacks, lunch, and drinks, and encourage participants to set up a personal fundraising page upon registration. Eggnog, hot chocolate, mulled cider and wine—need I say more? Invite your supporters to dress to impress and fundraise for entry to your event. Motivate fundraisers with prizes like VIP seats or tickets to a future event. This winter fundraising idea asks supporters to register for the competition while guests vote for their favorite snowy creation. Don’t live somewhere cold? Try a snow-theme sandcastle contest instead. Pie, chili, sugar cookies…there are plenty of winter snacks you might ask people to consume in exchange for some serious bragging rights. Ask contest participants to recruit pledges for each snack they consume, and gather the rest of your community to watch the fun. Run this winter fundraising event like an eating contest—minus the eating. Set up long tables with all of the necessary items, and have teams of two compete to construct the most creative house in a set period of time. You can make this fundraising event simple with the staples like graham crackers, frosting, and candy canes, or you can step it up a notch and allow competitors to sketch “blueprints” ahead of time and bring their own decorating tools. Ask local artists to judge and award prizes for categories like most detailed, most creative use of ingredients, and most ingredients used. Host a class and charge an entry fee to cover supplies and collect donations. Whether you sew Christmas tree skirts, arrange wreaths, or bake cookies, a craft event is bound to attract families looking for an afternoon of fun. Keep in mind that craft events aren’t limited to families with kids. If your town has a dedicated group of local artisans, hold an adult craft workshop where basic crafting skills are required, but attendees can pick and choose which items they want to make. Local artisans can teach attendees how to make everything from hand-poured candles to alcohol ink dishes to laser cut wood ornaments. If your town members put up holiday lights every year, why not throw a block party or lights tour? Charge per ticket, rent horse-drawn wagons, cover them with jingle bells, and serve cocoa onboard as your guests take in an evening display of holiday cheer. While Christmas music is a pretty polarizing (pun intended) topic, a Christmas music dance-a-thon can delight supporters in the weeks leading up to December 25. Play hits from past and present and ask event registrants to create a personal fundraising page. Don’t forget to award prizes for the longest couples standing. According to Buddy the elf, the best way to spread Christmas cheer is singing loud for all to hear. Gather your team for some caroling and go door-to-door to collect donations. Bring flyers with you that include a QR code to your online fundraising page so people can easily connect with you online after they meet you in person. Work with a local shopping mall, or use a public space to arrange a meet-and-greet with Santa and his elves. Parents can line their children up for a photo-op with Kris Kringle himself and have their photos printed on the spot for a contribution. Luckily for you and all of your taste testers, there are countless ways to make cheesecake. Charge for entry to the contest and ask participants to submit their favorite recipe. You can even host the event at your office. This is a perfect opportunity to casually meet with your supporters, learn more about them, and provide details about your cause. Rent a truck and offer to pick up old Christmas trees at the end of the season in exchange for donations. Confirm where you can take the trees that are ready for disposal. Some cities have locations for mulching the trees so they can be reused in some fashion. We all know someone who can wrap a present using only three pieces of tape and have it look like something out of a Martha Stewart catalog. Unfortunately, some of us are not as blessed with gift-wrapping talents. Partner with a local store, like a bookstore or gift shop, and set up a gift wrapping station. Ask for volunteers to man the station in hourly shifts and wrap presents in exchange for donations. If thousands of Santas running down Main Street doesn’t get your nonprofit some extra media attention, we’re not sure what will. The Great Santa Run San Francisco gives registrants a five-piece Santa suit, runner goodie bag, and medal for participating. Why not ask your runners to create personal fundraising pages for your event and give awards to the Santas who raise the most? An increasingly popular themed party in the last decade, an ugly sweater party is an easy way to throw a themed winter fundraising idea. Rent out space at a local bar or restaurant and sell tickets, or invite guests to come in to your office for libations and holiday snacks. Host open sleigh rides at your local park or Christmas tree farm in exchange for donations. Make it a day event for a family-fun feel, or sell tickets for evening rides under the stars for a more romantic setting. National Lampoon’s Christmas Vacation, Elf, Home Alone, Rudolph the Red-Nosed Reindeer— there’s no shortage of holiday classics to use for a winter screening. Partner with a local movie theater or venue with space for a projector and sell tickets to a holiday movie marathon. Ask local bands to put together a set of holiday songs and rent out a local bar or venue. You can sell tickets to the event and even ask participating bands to create team fundraising pages. Then, they can compete to raise the most funds for your cause from their fans. Arrange a tournament where teams compete in an ultimate snowball showdown. Set each team up with a fundraising page and give the top fundraising teams advantages in the competition. For example, you might allow the top team to bring one of their players back from the sidelines after they’ve been hit. Sell tickets to a Super Bowl screening. You can even create your very own “Super Bowl commercial,” and use it to promote your event and fundraising campaign. When the holidays pass along with the largest giving time of the year, many will still be left with an unrelenting winter chill. Arrange a heartwarming Valentine’s day experience by partnering with a local restaurant and selling tickets to a romantic set course menu. Physical events can be a lucrative way to raise money and awareness for your cause during the holidays. When you couple your winter fundraising ideas with fundraising software, you open them up to your entire supporter base beyond your geographic area. Check out our guide, A Year of Creative Fundraising Ideas for more inspiration, or if you want to learn more about how fundraising software can broaden the reach of your event, start a chat with a Classy representative.